Cochleor has released Harmony Improvisator which is an advanced harmonic composition tool for your DAW. • Composing with the rules of classical harmonic theory - no professional knowledge required. • Complex cadences suitable for all styles of music. • Unique concept of harmonic pattern sequencing. • Automatic calculation of exciting harmonic suggestions. • Critical time advantage for creating harmonic frames of songs, soundtracks, and arrangements. Priced at €99 (incl. 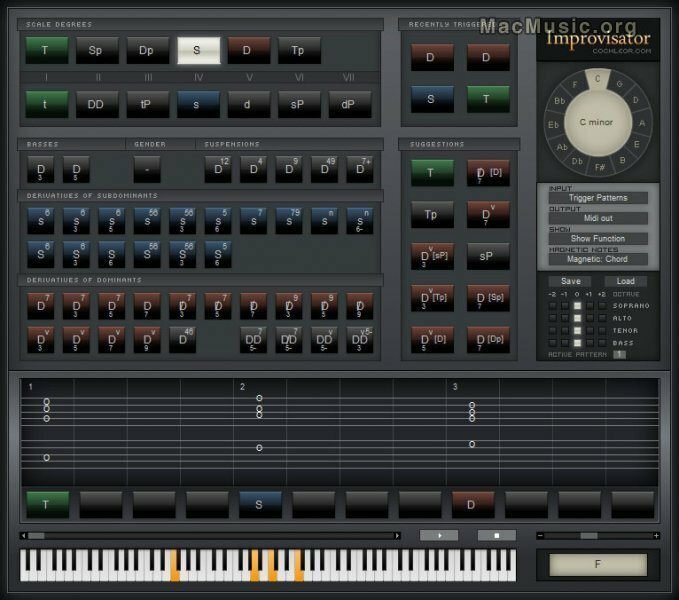 19% tax) / $129, Harmony Improvisator is available now for Windows and Mac OS X (Intel) in the VST effect format.